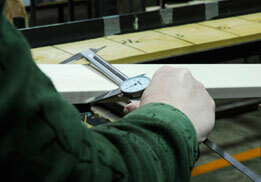 At G & D Wood Products, you can trust the quality and integrity of anything your order. 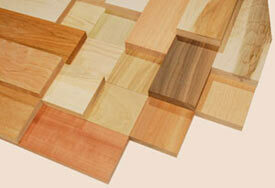 Our product lines include Moldings, Louvers, and SAS boards. Click through our product section to learn more. If you don't see what you're looking for, please contact us. Our business is built on manufacturing to your custom specifications, and will work with you to meet your needs. G & D Wood Products offers a variety of standard wood species and can work with you to obtain other woods to match your specifications. Standard species include: Aniegre, Alder, African Mahogany, Black Walnut, Cherry, Douglas Fir-Vertical Grain, European Steamed Beech, Hickory, Makore, Natural Soft Maple, Poplar, Red Birch, Red Oak, Teak, White Ash, White Hard Maple, White Oak, and White Soft Maple. 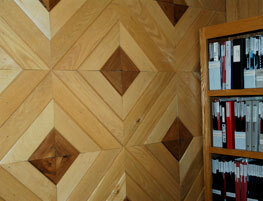 We offer stains and finishes in English Chestnut, Ispich Pine, and Sedonna Red or painted white. You can also choose to leave the product raw or have us apply a clear lacquer only. All orders at G & D Wood Products are meticulously handled throughout the manufacturing process for the utmost in quality standards. Our equipment uses state of the art technology to ensure that each piece is consistent and well crafted. Our employees hand-inspect products throughout the process to ensure that your order is complete and meets all specifications.